SACRAMENTO, Calif. /California Newswire/ — Today, Calif. Governor Edmund G. Brown Jr. announced a budget agreement with Assembly Speaker Toni Atkins and Senate President pro Tempore Kevin de León, consistent with prudent May Revision revenue estimates, that saves billions of dollars and pays down debt, while directing more resources to schools and low-income Californians. 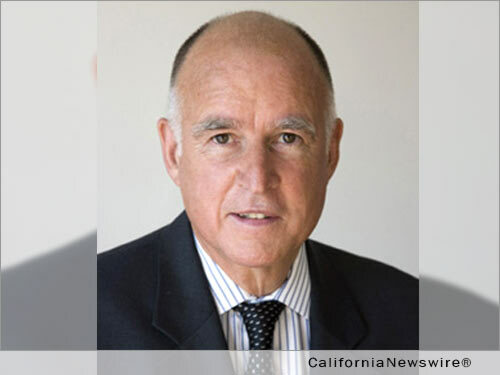 Governor Brown also announced that he is calling two special sessions to fix how California funds roads, highways and other infrastructure and the state’s core health program – Medi-Cal. More Money for Schools: The agreement makes significant investments in schools – $14.3 billion for the K-12 system and community colleges, including $6 billion to continue to implement the Local Control Funding Formula which targets increased resources to students who face the greatest challenges. Counteracting the Effects of Poverty: The agreement implements the first-ever California Earned Income Tax Credit ($380 million) to help the state’s poorest working families. Paying Down Debt: The agreement pays down billions in debts, including completely paying off school deferrals ($1 billion) and debts owed to local governments since 2004 ($765 million). The agreement also completely retires $15 billion in Economic Recovery Bonds used to cover budget deficits as far back as 2002, as well as $3.8 billion in mandate debt owed to K-14 schools. Saving for a Rainy Day: The agreement saves $1.9 billion in the state’s Rainy Day Fund as required by Proposition 2, bringing the balance to $3.5 billion. • $40 million to expand Medi-Cal to cover all low-income undocumented children effective May 1, 2016 ($132 million when fully implemented). • $265 million to fund 7,000 additional preschool slots and 6,800 child care slots, plus a rate increase for all providers. • $97 million over the January budget for the California State University to expand enrollment and focus on increased success. • $226 million on a one-time basis to restore the 7 percent reduction in service hours for In-Home Supportive Services. • $500 million (Proposition 98) for a one-time teacher effectiveness block grant. Caltrans, the state’s Transportation Department, maintains 50,000 lane-miles of highway and nearly 13,000 state-owned bridges. While the repair, maintenance and efficient operation of the state’s highway system are vital to the state’s continued economic growth, current funding fails to adequately fund this necessary work. The state’s current fuel excise tax is sufficient to fund only $2.3 billion of work—leaving $5.7 billion in unfunded repairs each year. The Governor proposes that the Legislature enact permanent and sustainable funding to maintain and repair the state’s transportation and critical infrastructure, improve the state’s key trade corridors and complement local infrastructure efforts. The Governor also called a special session to address the financing of the state’s core health program – Medi-Cal. The state’s recent expansion of health care coverage under the Affordable Care Act has resulted in more than four million additional Californians receiving coverage through Medi-Cal. Since 2005, the state has levied a tax on Medi-Cal managed care plans. The revenues are matched by the federal government and used to both increase payments to Medi-Cal providers and offset health care costs that would otherwise be paid from the General Fund. This funding mechanism has helped the state pay for the increased number of Californians receiving coverage under federal health care reform. The state’s current managed care organization (MCO) tax structure fails to comply with new federal requirements that such a tax be broad-based and not limited narrowly to Medi-Cal plans. The current structure, which expires at the end of fiscal year 2015-16, generates $1.1 billion. The Governor’s January budget proposed a modified MCO tax that would be levied on a per-enrollee basis and cover most health care plans regulated by the Department of Managed Health Care. In the special session, the Governor proposes that the Legislature enact permanent and sustainable funding to provide at least $1.1 billion annually to stabilize the state’s General Fund costs for Medi-Cal, sufficient funding to continue the restoration of the 7 percent of In-Home Supportive Services hours and funding for additional rate increases for providers of Medi-Cal and developmental disability services. The funding could come from the proposed MCO tax and/or alternative sources and is necessary to prevent over $1 billion in program cuts next year. Full text of the special session proclamations on infrastructure and health care financing are available here – http://gov.ca.gov/docs/6.16.15_Infrastructure_Special_Session.pdf – and here – http://gov.ca.gov/docs/6.16.15_Health_Care_Special_Session.pdf.